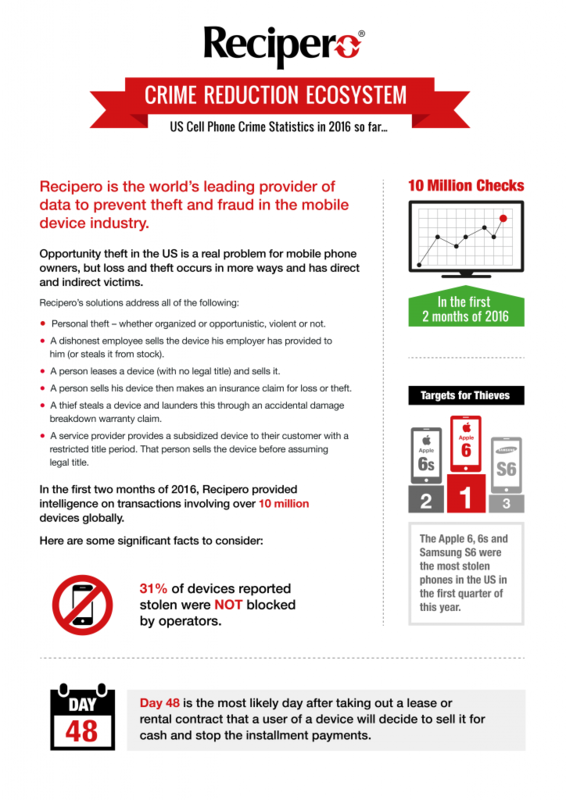 Mobile phone fraud prevention specialist, Recipero, part of the Callcredit Information Group, is urging consumers and retailers to undertake device checks when buying a second hand phone to avoid becoming a victim of fraud during the January sales and beyond. Recipero’s CheckMEND data* reveals, that the number of device checks made on second hand iPhones has almost doubled in the last four years, highlighting the growth in the size of the second hand phone market and the increased awareness amongst some consumers and retailers of ensuring the legitimacy of second hand phones. Last January there was a spike in the number of iPhone checks performed via the Recipero CheckMEND service. More than 1.3 million checks took place (more than 400,000 up on the month before) and Callcredit’s analysts are expecting upwards of two million at the start of 2018. The Recipero data also revealed a surge in the number of searches on the CheckMEND database following the introduction of new iPhone models – as it shows the number of device checks being performed increasing by over a third (36.6%)** in the period after a new release. Mark concluded: “A check on a second hand phone includes a device life history that starts at the point of manufacture, through ownership changes, right up to it being recycled. The device is checked against IMEI, a phone’s unique reference number, loss and theft reports and police crime reports in the US and UK, insurers title information and settled claims. *Based on CheckMEND UK data of number of checks made on iPhones each month from Jan 2014- Dec 2017 inclusive. Taken from the Recipero database which is part of the Callcredit Information Group. **Based on the average number of CheckMEND iPhone device checks two months prior to a new iPhone launch and the average for the two months following. You will hear this saying a lot in the coming weeks leading up to Christmas. Preparation is not only a great idea help your Christmas planning run smoothly, but it’s worth preparing for those unforeseen circumstances around the festive period. The last thing you want around this time of year is to worry about burglars but according to The Office of National Statistics, police recorded burglary is up by 3% and theft by 7% compared to last year. So, it is imperative we do as much as possible to keep ourselves, our loved ones and our property as safe as possible. Register on Immobilise: Before you get too busy with Christmas preparations take some time to record your valuable items on Immobilise, so you have a secure list of precious items. Deter potential criminals by investing in a motion sensor outdoor flood light and some Immobilise window stickers. Fake it till you make it, with a Fake TV that recreates the same flickering glow that looks like someone is watching TV, and invest in light timers especially if you are going away. Keep curtains closed, at night especially when it gets darker earlier and ensure Christmas presents are out of site. Don’t advertise on social media when you plan to go away. Publishing your movements can let burglars know when there is an empty house. Preparation is key. Be sure to cancel any scheduled deliveries such as newspaper or milk deliveries that might alert someone you aren’t there. Don’t hide spare keys. Burglars often watch a house for a few days before attempting to break in and leaving them a key makes it that much easier! Secure the outside of your home with deadlocks on windows and make sure any sheds or garages are secure. It’s that time of year to kick back and relax at a festival and listen to your favourite kind of music but have you thought about how to keep your valuables safe from loss or theft. 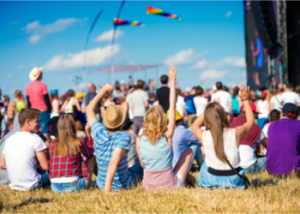 Festivals can be an absolute goldmine for thieves, although there is plenty of advice out there about what is in vogue to wear at festivals this year, there isn’t much advice about protecting your property. Opportunists can present themselves at any time especially in large crowds so whether you are protecting your iPhone, Samsung Galaxy or HTC phone, or are worried about your wallet and camera there are a few things that you can do to keep your valuables safe. Firstly, you need to register any valuables on Immobilise, the national property register which is linked to the police database (NMPR) where if any property is found the police can run a search and return it to the rightful owner. It is a must do for gadgets such as your mobile phone, which you will want to take with you to a festival. You can register any property on Immobilise, so get registering! Try not to bring too many valuables in the first place, but if you do don’t leave anything unattended or in tent. Sometimes there may be free locker areas if you do have something you want to lock away. Keep valuables in the bottom of your sleeping bag at night. Only take as much cash as you think you will need and try separate cash from cards. Don’t put phones and wallets in your back pocket. Report any suspicious behaviour or crime to police immediately. Stay safe this festival season and have a great time doing it! 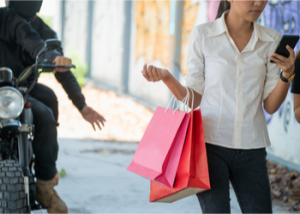 Beware of the Mobile Phone Moped Muggers! Thieves who steal mobile phones straight out of people’s hands as they zoom by on their, often stolen, mopeds are becoming an increasing problem for the public and police. It’s completely shocking to the person being attacked. Martin Lewis, the money saving expert, who was one of the latest victims can confirm this from his recent attack near Oxford Circus. He tweets about his incident: ‘About 40 minutes ago two men on a moped just rode up on the pavement and snatched my mobile out of my hands. The speed and accuracy was frightening.’ To read more on this attack click here. Scotland Yard claims that moped muggers are snatching 20 phones an hour and that thieves mainly go for iPhones. If the phone is still switched on then they reset it and sell it on, if not then they will trade it for parts. If the owner has been astute enough to register their phone on immobilise.com, the National Property Register, they would immediately be able to change the status of the device flagging it as stolen to traders, as well as report it to the Police*. UK Police officers are the ONLY people with authorisation to access the Immobilise database to check the status and ownership of a mobile phone and repatriate it if it is recovered. The Metropolitan Police advise mobile users to activate their phone’s security features when they receive it and to register valuable possessions with immobilise.com for free, pre-loss or theft. In this increasingly common crime the phone’s owner is often not the only victim. If you are buying a second hand mobile phone, whether that be an iPhone, Samsung, HTC or any other smartphone, then CheckMEND can help you avoid stolen property. An online check costs as little as £1 and will highlight if a phone is blocked, stolen or compromised in someway. CheckMEND is the most comprehensive device check available helping consumers, traders, recyclers and retailers buy and sell second-hand goods with confidence. The moral, however of this post is not to give thieves opportunities to steal your possessions or profit from your loss. Try to avoid using your smart phone in public, be cautious, and to be on the safe side always register new phones or mobile devices on immobilise.com. * Flagging an item as stolen on Immobilise means that information is immediately available to the Police when they conduct searches for it on the Police only NMPR system. In the event of a crime, a report should also be made directly to Police so they are able to investigate it appropriately and request additional details when relevant. Summer is such a great time of year… the sun is shining (well some of the time), the evenings are longer and everyone seems to be in a much better mood. Whether you are breaking up from school, university or just looking forward to that long-awaited summer holiday (like me), we will all be preparing for some fun activities this summer. As part of that preparation be aware that if you’re leaving your home and worldly possessions unattended, for even a short period of time, make sure it is safe and secure. The last thing you want after all the excitement of the summer holidays is to find that your possessions have been stolen in one of the 2.1 million burglaries that occur in Britain every year! Homes are 5 times more likely to be burgled if they have no security measures, so it is really important that we do as much as possible to deter burglars from targeting our homes. 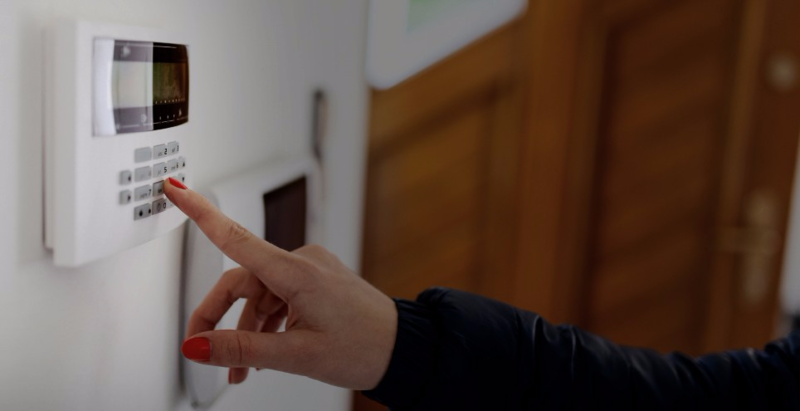 Taking just a few steps can make a huge difference in keeping your home safe. Lock your doors properly. It sounds so simple but most burglars get in through windows and doors that aren’t locked properly or have flimsy mechanisms. Be sure to invest in strong, visible locks. Install an alarm. Nothing puts burglars off more than an alarm going off. Don’t discuss holiday plans on social media. Burglars are more likely to live in your surrounding neighbourhood and may even be part of your social network. Should you be unfortunate enough to have any possessions stolen, having a list of everything on immobilise provides the Police with the information they need to be able to return your belongings when found. Immobilise offer many products to mark your property which means it is much easier to identify. From UV pens to the infamous ImmobiTAG for bicycles. Click to visit the Immobilise shop. What’s the difference between ‘Locking’ and ‘Blocking’ of a mobile device? There is a vast difference between blocking and locking of a smart phone or mobile device and it’s important not to confuse the two. A locked phone is when a phone will only function on a particular mobile network and is in effect locked to that network. This usually occurs when you take out a contract with a network provider on a brand-new phone so that they can subsidise the cost of the phone into your monthly payments and encourage you to stay with that network provider. It is however, possible to unlock a phone if you do want to change network providers and it isn’t illegal to do. You will often find unlocked phones available for purchase on second hand websites such as ebay or Gumtree. A blocked phone, often referred to as blacklisted phone is an entirely different matter. This is when a phone has been compromised (stolen or lost) and has had a block put in place, usually by the rightful owners’ network operator. When a block is put in place, it is put on the phones IMEI (the number to individually identify each phone). This means that when someone inserts a SIM card in the phone and attempts to use it, the phone will not be able to join a network and therefore won’t work. It’s also useful to point out that countries such as the UK operate cross-network blocking which means a blocked / blacklisted phone will not operate on any network in that country! Online shopping has rapidly become the easiest way to buy goods. With only a click of a button or tap of a screen between us and our next purchase, it’s no wonder that 95% of British people buy goods via the internet. 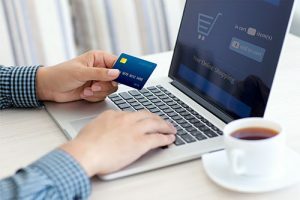 According to Th e Daily Mail, 1 in 4 British people now shop online at least once a week, although this way of shopping is more convenient it does increase our exposure to fraudulent activity. By this, I mean that although you may feel ‘safe as houses’, sitting at home on your laptop browsing your favourite sites, you can’t be quite as confident that what your buying is completely legitimate. 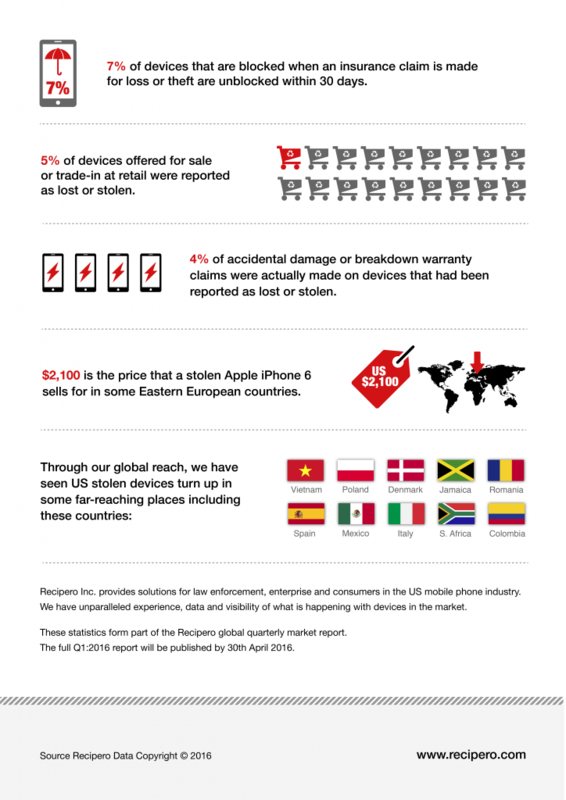 There are more and more scams to be aware of and avoid especially when buying or selling any mobile devices in the second-hand market. Many great bargains can be found in online auction and classified ad sites, and in turn you can, as a seller, make some money on the items you no longer need. It’s true what they say ‘one man’s rubbish is another man’s treasure‘. However without knowing the seller is reputable, it is very hard to be confident that a device is genuine or compromised. One well established way to put your mind at rest is to purchase a CheckMEND report. A CheckMEND mobile device check costs as little as £0.99p per device and can help inform your buying decision by reporting on a devices current status and history including if it is blocked, marked as lost or stolen, plus many other important data checks. It’s like getting a clean bill of health when your device comes back clear, a green flag to proceed! If you are selling an item, it is a great idea to sell it with a CheckMEND history report to build trust with your customers, achieving faster sales and higher prices in the process. Trade with confidence when buying or selling second-hand goods, run a CheckMEND device check now. When the school gates opened for the new term, its estimated that under 16s’ bags contained over £3.2 billion worth of tech – a staggering average in excess of £270 per school bag*. Such high values intensify issues associated with loss and theft requiring students to be ever more cautious. Students shouldn’t leave their smartphones, cameras, iPods and tablets unattended, and when not in use they should be kept secure in a locked bag or locker. Don’t show off expensive devices, especially in public spaces. Children and young teenagers make easy targets for unscrupulous thieves. Ensure gadgets are registered on Immobilise, recording the make, model, and any serial codes but most importantly for smartphones the IMEI number – for mobiles just key in *#06# on the handset to display the IMEI. Bicycles should be kept in the school’s designated areas and secured with a D-lock to an immovable object such as ground mounted loop. Don’t forget to register the bike on Immobilise and consider enhancing the registration with an ImmobiTag RFID tag. Recipero’s CheckMEND goes mobile to help protect mobile device traders! Recipero are pleased to announce the global launch their new CheckMEND website. The new mobile friendly design helps CheckMEND users run real-time reports to avoid trading stolen phones and mobile devices, regardless of location or access-device. 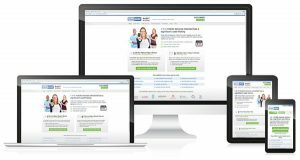 Launched simultaneously in the US, UK and EU the new responsive site has been well received by CheckMEND’s extensive footprint of users which include national consumer electronics retailers, international recyclers, traders and the public. CheckMEND produces real-time history reports based on comprehensive data published into Recipero’s Device Service Bureau by numerous organizations covering mobile networks, retailers, police, insurers, lease providers and the public. Reports are delivered instantly to aid buying/selling decisions, helping CheckMEND users avoid financial loss, legal implications and hassle that’s often associated with handling devices with questionable backgrounds! The service doesn’t stop there either; CheckMEND Status Change Alerts are a powerful feature that helps mitigate issues that can occur when a smartphone or other mobile device is reported as lost or stolen after a check is performed!